CORONADO — Novice powerboat operators received a lesson in boat handling last month, when members of Coronado Yacht Club participated in a water safety education standards test, as part of the National System of Standards for Recreational Boat Operation study. Coronado YC was the site of the final phase of the five-year study. When the study is completed, it will aid in the creation of one national standard for classroom and on-water training and instruction. Operating under grants provided to US Sailing by the Coast Guard, the study aims to develop a National System of Standards for Recreational Boat Operation. Powerboating, sailing and human-powered vessel operations are included in the study. “The U.S. Coast Guard’s long-term vision is the development of a National System of Standards for Recreational Boat Operation that will incorporate a combination of on-water experienced-based instruction and classroom knowledge/theory-based teaching,” according to the National Systems for Recreational Boat Operation study report. “This system of standards will be recognized by the U.S. Coast Guard as components that should be incorporated in any recreational boating education program — and will be available to anyone who would like to design and deliver a program that is consistent with the highest quality standards for developing skilled, knowledgeable and safe boaters,” the report stated. Subject matter experts from industry, professional schools and the public sector worked with a program facilitator to develop the standards. 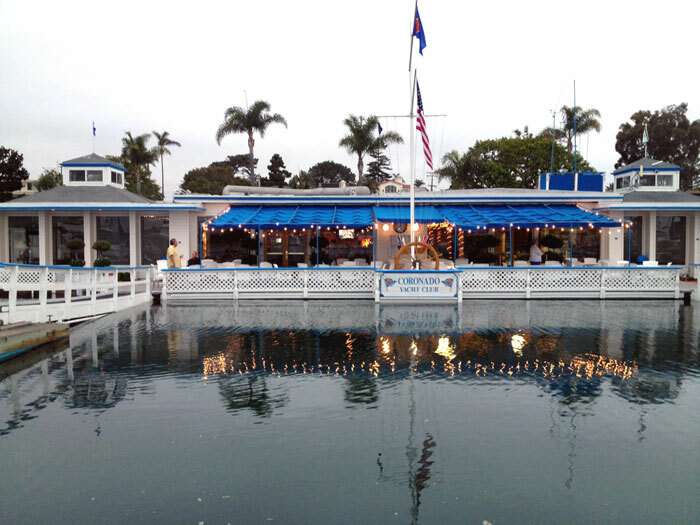 Eight to 10 yacht club members participated in the study at Coronado YC, which consisted of a two-hour on-the-water test and an online survey. Coronado YC members Jeff and Mary Fritsch played a part in the study, which included maneuvering a 24-foot inflatable with a passenger, an observer and evaluators on board. While it seemed as though the boat operators were being tested, in reality it was the guidelines that were being put to the test. “It was a little scary at times,” said Fritsch, who had not piloted a powerboat prior to the exercise. Before the on-the-water test began, Fritsch and fellow volunteers were given a safety briefing, and they were asked to familiarize themselves with weather reports, a chart of the bay tides and safety equipment on the boat. Fritsch was asked to demonstrate her powerboating abilities, per the evaluator’s instructions. She conducted a man overboard exercise, where she took the lead instructing passengers what to do to ensure the person in the water was safety brought aboard. Additional exercises included planning, stopping a specific distance from buoys, taking turns at specific speeds and docking. Beaching and mooring recovery was also tested. “It was tough but the instructor was so nice and patient,” she said. The national-level study power boating guidelines will be submitted to the Coast Guard next month. Field testing of the sail- and human-powered vessel standards will begin in September 2014. “This had made me realize that anyone can just go buy a boat and take it out — and that’s scary, since there are so many things you need to know that many people don’t know,” she said. The experience has influenced Fritsch to sign up for powerboat safety and sailing classes.